The spread of Zika in 2016 has once again brought to worldwide attention the threat posed by pandemics and infectious diseases. The World Bank describes a pandemic as “a global disease outbreak that represents a top global catastrophic risk.” Outbreaks of infectious disease have occurred regularly throughout history – Ebola, Avian Flu, SARS are just some recent examples - and market consensus is that a pandemic is inevitable. According to the World Bank, there is a “high probability that the world will experience a severe outbreak in the next 10 to 15 years that could destabilize societies and economies”. 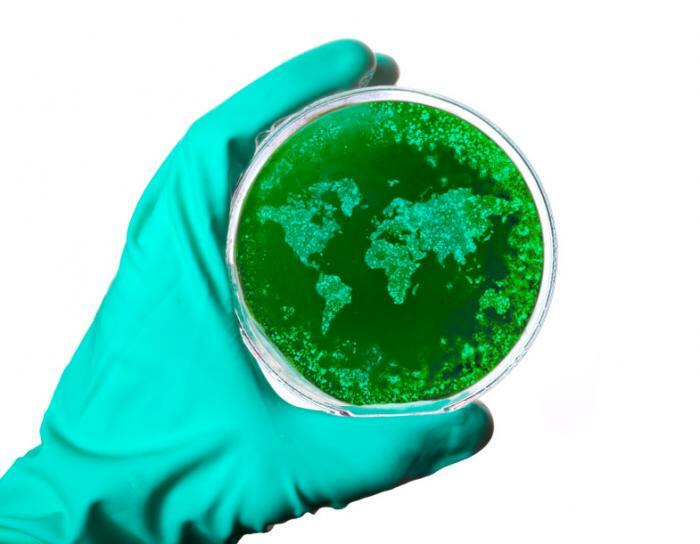 Despite advances in medicine and communication, the interconnectedness of international trade and travel in today’s globalised world, plus a larger (and more urbanised) population, means that pandemics spread more quickly and will affect more people. From a risk point of view, with their large impacts and low probability of occurrence, pandemics are catastrophe scenarios and, given the degree of their disruptive potential, one of the most important issues for the insurance industry. In addition to human costs in terms of health and life, pandemics result in significant financial costs as a result of their associated economic and societal impact, the secondary impacts including disruption from security threats and civil commotion. The spread of an infectious disease increases both the cost of containing it and the social and economic damage sustained, and the timeliness and effectiveness of the response of international groups and governments is therefore a crucial variable. According to the World Bank, the annual global cost of moderately severe to severe pandemics is around USD 570 billion (0.7 of global GDP), and the cost of a severe pandemic like the 1918 Spanish flu could be as much as 5% of global GDP – most of the losses predicted to be those caused by resulting economic factors. Resulting losses from SARS and Ebola went into billions of dollars in the Asia Pacific region and West Africa respectively, and Zika is forecast to cost billions to Latin America and the Caribbean alone. Due to the various impacts of a pandemic, (re)insurers may face claims across various lines. As well as travel, health and life policies, (re)insurers may face exposures under liability policies (including employers’ liability) for alleged negligent exposure to disease. Whether the cover will respond will depend on the specific situation and policy wording, and the operations of any exclusions, for example, for Expected or Intended injuries, Pollution and Bacteria. An outbreak will also affect a company’s operations and revenues, for example, if it is required to temporarily cease operations partially or completely due to pandemic-related issues. During the Ebola outbreak, in addition to the voluntary evacuation of employees, curfews were imposed in some countries, resulting in the cessation of operations at some sites, closure of ports and borders and disruption of global supply chains; (re)insureds particularly affected were those with business or supply operations in West Africa, particularly in the mining, energy or travel sectors. Claims may be brought for business interruption and/or contingent business interruption. BI (and CBI) is one of the most significant risks faced by a company generally, heightened by the increasing interconnectivity of global supply chains and the nature of modern production processes; in the event of a pandemic, the ‘just in time’ model of many businesses may cause supply shortages thus exacerbating the damage. However, a standard BI policy would only be triggered after the policyholder has experienced a direct physical loss or damage to insured property; it would not automatically be triggered if an organization suffered loss of income as a result of, for example, Ebola. The general market view is that disease is unlikely to constitute physical damage to property and therefore BI losses cannot automatically result. As with any policy, everything depends on the wording and circumstances of the specific case, for example: whether contamination is considered a direct physical loss of the premises; whether BI coverage may extend to temporary closures due to “dependent properties,” such as a major supplier, or prohibited access by civil authorities to the insured’s premises due to a direct physical loss of another property. BI policy extensions such as Loss of Attraction, Denial of Access and Suppliers/Customers may respond but are subject to sublimits and the terms and conditions of the policy in question. Similarly, extensions of cover for Infectious Diseases, which are sometimes included within a standard BI policy to cover BI losses attributable to the outbreak of diseases, would again be subject to the wording and conditions that apply - for example, if the wording is based on “notifiable human diseases”, cover will not automatically apply as the list of notifiable diseases of public health bodies will be jurisdiction-specific, and such cover may also be subject to orders of local civil authorities. Re(insureds) could therefore face gaps in coverage for potentially huge costs in situations where there is no physical damage to property. There may be certain circumstances in which property may be found to be damaged as a result of disease, for example if necessary decontamination measures are destructive, or where more extensive property damage occurs as a result of the secondary impact of a pandemic, such as strains on the emergency services or shortage of personnel to carry out the necessary repairs (although exclusions applicable to secondary impacts, for example for civil commotion, will also need to be considered). Should a pandemic result in severe financial losses as predicted, it is likely that there will be increase in policyholders looking for ‘deep pockets’ and advancing wider interpretations of policy language. However, pandemics are just one example of BI losses triggered by non-physical damage events that businesses are increasingly facing, and specific cover for pandemic-related BI exposures, or “non-damage” BI polices, is available. Pandemics are inevitable. (Re)insurers should assess their potential exposure and, as always, review their own policy wordings. While it may be that specific exclusions are written into policies (as was the case for many UK and US insurers in the wake of Ebola), (re)insurers also have the opportunity to offer bespoke products to meet the increasing need of companies for non-physical damage BI scenarios and the other multitude of risks that pandemics present.